Greetings everyone. Today is the "official" public release for XpressSim. Press releases are just now coming out and traffic is picking up. As we have mentioned before, we would like to have a long-term mechanism in place to allow our XpressSim customers to make requests for future products. We have some good ideas for a long term system to be implemented. However, in the short-term, I am starting this thread to handle customer requests for possible new scenery areas to be worked on in the near future. The requests can be large Cityscapes, airport regions or both in cases where both are relatively close proximity of each other. Please, only current XpressSim users should make the requests. The reason for this is due to the fact that XpressSim users know exactly what the product line can provide and will know what to expect in future products releases. A good reason why this location is desirable. Popularity: Cityscapes or airport regions that would be desirable to a decent percentage of the flight sim community. We need to focus on areas that might be of interest to a minimum of about 200 users. Community Needs: Airports that have either been overlooked by other developers or there is a need because the existing products are either poorly done, incomplete or have too much of a performance/resource penalty. Building footprint data availability: for the large Cityscape requests - we have access to a wide selection of both commercial and freely available footprint data, plus the means of extracting our own footprints from different resources. However, some areas of the globe are completely missing or incomplete. We generally have the best footprint access right now for the large Cityscapes throught the USA and Europe. Regional Compatibility: It is assumed right now that it is best to release more than 1 XpressSim product in a given region. This would allow for XpressSim VFR flights between products. While this is not a primary consideration, it is a minor one. Airport requests when there is already quality freeware or commercial products available. Although, because of the large XpressSim coverage areas around the airport regions, there can be exceptions. Airports that only have a personal significance (sorry). At some point down the road, we may open up the possibility for doing custom work. But, this would more likely fall under our commercial services option. Thanks for the feedback. We hope to make XpressSim products a community effort as much as possible. If you love these products and want to see more created at an expanded rate, please spread the word. Enjoy everyone. We look forward to the requests. Please keep this thread for requests only and if you have any questions about a request, it would be best to start a new thread. Hello Allen, and thank you for this opportunity to suggest future Xpress Sim locations. I look forward to this product's success and I feel it will greatly enhance our simulator world and adventures. My first nomination is NOT my hometown or a place I have traveled to, yet it holds a special place in my heart and I would love to visit someday.
" Experience one of America's most beautiful air approaches when you arrive to the Lexington area by plane. Internationally-known as the horse capital of the world, Lexington is home to over 450 horse farms as well as the Keeneland Race Course, The Red Mile harness track and Kentucky Horse Park. Lexington's rolling hills, flanked by miles of impeccable white fences, provide some of nature's most stunning countryside. Located 81 miles south of Cincinnati and 74 miles east of Louisville, the population of the Lexington metropolitan statistical area exceeds 479,000. The region has something to please everyone's tastes. Browse one of the local museums, shop at an art gallery, take in a game at one of the sporting venues, tour a bourbon distillery, enjoy a fine dining experience or brush up on your history at an historic home. " With service from 4 major airlines providing 18 Non Stop destinations, I feel KLEX and the city scape of Lexington, Kentucky would be a great Xpress Sim "home" to visit. Another recommendation would be to ALSO consider KCVG and KLOU as compliments to this location. I will officially nominate CYQX, Gander International. Airport and cityscape which can't be more than the Petersborough area. How about Duluth, Minnesota. City on a hillside, commercial/retail development on the top of the hill. Beautiful bridges spanning across Lake Superior, from Minnesota to Wisconsin. Airport is home to commercial and military traffic. 1) Gander International - I feel that this is a really good one and is on the list. 2) Duluth - Also looks like a pretty good target area. It is going to take some thought on how to best define the project boundaries. Looking at it already I can tell that Duluth Intl airport and the surrounding cities would be one product. West Duluth thru the north end of Duluth would be a Cityscape product (along with most of Superior). I am not sure right now what to do with the smaller airport in Superior. Please, how about some looks in northern New England. On a hillside just off the Connecticut River border with Vermont. Lovely area. Very small, very convenient GA airport near Mount Monadnock. Certified for Cat III B Instrument Landing operations, the airport has a reputation for never surrendering to bad weather. KHOU would be very nice. A major hub for Southwest Airlines. Someone suggested Duluth, Minnesota.. Good choice. also home to Duluth Trading Co.
KTHV - York Airport & KLNS - Lancaster Airport all in a 40 mile radius of downtown Harrisburg. Currently there isn't a quality rendition of KMDT. Good list guys. Appreciated. Right now Gander is the current work in progress. I'd like to see you do KERI in Erie, PA. This is a decent-size airport that has just updated the whole field in the last few years. The runway was extended to 8400 ft. and all the navigation aids were updated to state of the art. The field is right on Lake Erie, and there is a beautiful peninsula with beaches and a large bay just a couple miles away. Spectacular scenery! This airport would be a wonderful addition to your line of products! I'd also like to see you offer KRSW in Ft. Myers, FL. This is a very busy airport with a large number of airlines. They are continually doing upgrades to the field, and are planning on building a new tower and another runway in the next few years. The airport is close to the Gulf of Mexico, which provides spectacular scenery. The city of Ft. Myers and the adjoing river add to the sights of the area. I'd also like to see you offer KRSW in Ft. Myers, FL. This is a very busy airport with a large number of airlines. They are continually doing upgrades to the field, and are planning on building a new tower and another runway in the next few years. The airport is close to the Gulf of Mexico, which provides spectacular scenery. The city of Ft. Myers and the adjoining river add to the sights of the area. KFMY Page Field is only a few miles away from KRSW. It was the original airport in Ft. Myers, and is still very busy. You may want to do both airports at once. That would really make the whole area look great! The way the XpressSim projects are currently setup, I can only have 1 airport per released product. So, even if 2 airports are close together, I have to split them up into 2 smaller (and cheaper) products. Sounds good. I'd just be glad if you'd consider these 2, along with KERI. I just installed Peterborough - looks great! While you are on the topic of South Florida you might want to consider KMTH with a companion scenery for Marathon/Vaca Key. A great destination from KFMY! Although, my biggest hope is for more Texas. KMFE and KHRL would be good companions for your KBRO and Brownsville projects. Whatever you do in the U.S. will be immediate buys for me! I'm thoroughly impressed with the work done thus far; fantastic performance and excellent quality. Keep 'em comin'. KHEF, Manassas, VA - the busiest regional in the Metro DC area. Suitable for anything from a Piper Cub to a B737. Starting my flight planning now. Thanks! Hi! I only just learned about your airports, and they're really interesting to me because of their very low cost and great accuracy. I see that you've just released a couple airports in the Great Lakes/Lake Superior region, and I was wondering if you would consider also developing Marquette Sawyer Airport, KSAW, located in Marquette, Michigan. This would be a great product for you to develop because the airport and area is very very interesting to pilots. It used to be K.I. Saywer Air Base, which hosted a squadron of nnuclear-armed B-52s and KC-135s. 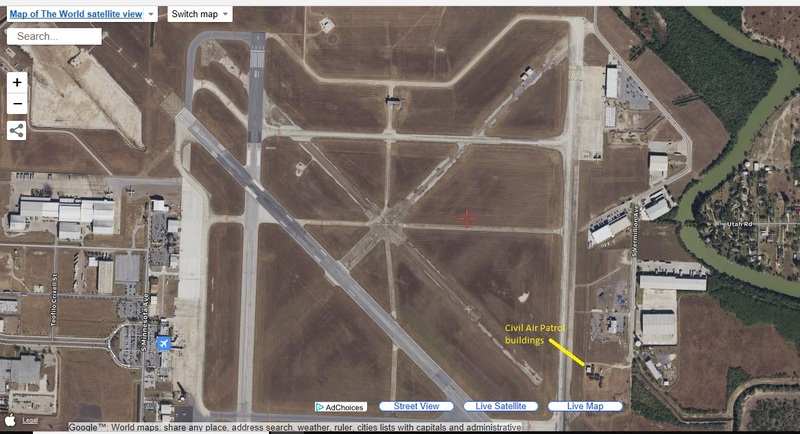 Now that the base has been shut down, we're left with a quiet regional airport with ~3 Regional Jet flights per day and a handful of GA movements, but a huge 12,000 foot runway, massive ramps, and a, abandoned/repurposed military base surrounding the airport, including old barracks buildings, abandoned gas stations, and a static air force plane display. It really stands out among all the typical small airports in the region with a more typical layout, making it 1) a cool destination and 2)a good training area capable of handling anything up to the size of an A380. Of course, there's much more stuff around. The airport itself is situated in thick forests which gives way to a beautiful lakeshore a few miles north, broken up by the town of Marquette, a small town with a population of ~20,000 people. It has a medical center and National Guard reserve, (both with helipads for the heli pilots to play with), and miles of beautiful Lake Superior lakeshore to explore in a seaplane or any other low-and-slow GA bird. There's also a huge mine complex north-west of the airport and west of Marquette, which is a neat place to fly over. The area is rugged, remote, and beautiful (while still being accessible) in both the summer and winter, with the latter season providing plenty of opportunities for sim pilots to fly in some nasty weather, which we seem to love doing a heck of a lot more than real pilots! Popularity: Accessible to GA, Helicopter, Airliner, and Military pilots with interesting sights for each. Community Needs: The only scenery ever done for KSAW, for any sim, is a simple AFCAD update by Orbx (who have done a massive swath of these updates, including for airports your have developed scenery for). Because of the remote location and small community, simply not many people know of the existence of this great place. Of course, that might change if you give people a reason to check it out in FSX/P3D! Building footprint data availability: Lots of OSM or other data is available for Marquette and KSAW, just like any other mainland US city. I encourage you to give the area a peek on Google Earth to see for yourself what the place is like. Anyway, sorry for the long essay! I'm sure I'm massively biased, as we all love our home towns and would like to see them represented in-sim, but I'm convinced that Marquette/KSAW has many features sim pilots would like to see, and would make the perfect addition to the collection of products you've developed. Thanks for the consideration, and whatever you decide thanks for the sceneries you've created for the Great Lakes region! boats, different aircraft, recently they built a huge casino complex on the north end of the island. could even take it down to Cat Cay. All replies are being read and up for consideration. Certified for Cat III B Instrument Landing operations, the airport has a reputation for never surrendering to bad weather. Maybe a cityscape too? hi, i recently discovered these xpress sceneries and enjoying them so far, kdlh in particular. mainly i am pleased to have more destinations around the great lakes!! this area is somewhat underrepresented in the fsx payware world..
i heartily endorse hmoody's request for marquette (KSAW)..
would also love to see some of the other coastal towns around there ... escanaba (KESC), houghton (KCMX), thunder bay (CYQT)..
for some island destinations, drummond island (KDRM), bois blanc(6Y1), and mackinac island (KMCD).. mackinac especially would be fun, i have found some updated afcads etc for the strip itself but nothing for the landmarks like the grand hotel. the default scenery just plops a cube there..
interlochen school and nearby green lake (Y88) is a pretty unique little area..
would enjoy to see the sleeping bear dunes get some love.. or niagara falls area which could use a good version that doesn't only work during the daytime like the current one out there..
pretty much anywhere around michigan will be an insta-buy for me. i do tend slightly to prefer strips that can handle larger aircraft (say...3500 or above) and/or have instrument procedures as this gives more flexibility with types of planes i can use there, and when i can use them, which is a big factor in how often i'll visit a scenery. but it's not a huge deal as i do enjoy GA/bush flying quite a bit also. It will be nice to have french cities: Paris ,Lyon,Marseille,Nice,Bordeaux,Toulouse,Nantes,Lille for the biggest towns Montpellier, Strasbourg,Orleans ,Rouen... and the famous Cannes. Yes, we have some of these cities in France planned for the relatively near future. I would like to request for consideration 07FA Ocean Reef Club. This area is more commonly known as Key Largo, FLA. A very popular vacation stop located south of Miami. Would very much like to see a trio of Ontario airports that could form a nice little triangle for VFR flying and also feature airliner/IFR flights. A mid size airport, large cargo hub. Has scheduled Westjet and Air Canada Express flights. Charter ops with Sunwing and Air Transat and lots of Cargo ops with UPS, Cargojet, Skylink Express and many other small operators. As the City is quite large (and has a busy shipping port) perhaps this could be a split airport and city package? A smaller regional airport. Has scheduled flights with Westjet and occassional charters with Sunwing as well. Lots of flying training and an airport I don't believe has ever been done for any version of FS. Located close to Toronto and Hamilton. Would be a perfect airport/cityscape in one. Another small regional airport similar to Kitchener. Has scheduled Westjet and Air Canada Express flights and a busy Winter charter program with Air Transat, Westjet and Sunwing. London is nicely located in Central Ontario, you could easily fly between all 3 of these airports in a short time. Would be perfect for airport/cityscape in one. Would also suggest perhaps at some point down the line taking a look at some mid size and smaller airports across Canada that have been neglected for years in flightsim like Quebec City, Saskatoon, Regina, Fort McMurray, Yellowknife, Whitehorse, Sudbury, North Bay and Moncton. Would also love to see Edmonton and Winnipeg but I would think they might be a bit bigger sized airports than you would want to tackle with this project. Let me say first I love the xpressSim addons and plan on adding them all. I would like to suggest the city of Rome, Italy. Aerosoft does Venice and Naples, Milan also is done, and Xpress Sim has a great rendition of Florence. Doing Rome would be a great addition to flying in Italy. Someone suggested small and medium cities and airports across Canada, which I think is a great idea. I would love to see the cities(and airports) Marathon and Islamorada in the Florida Keys. The default also leaves a lot desired in areas of Mexico. There are a lot of small picturesque cities in Mexico - Guadalajara, Puerto Vallarta, Vera Cruz, Monterey, Zacatecas, Aguas Caliente, etc. Any new french cities? I like very much Nice,Marseille and Montpellier.Why not Bordeaux,Toulouse,Lyon,Nantes ? and of course Paris ! I am sorry. But, we have currently halted any new development on XpressSim products due to low sales. While our users seem to love the products and low price, the products were getting no publicity outside of this forum. And, as it turns out, we priced the products too low. We currently have quite a large number of XpressSim products available. If the sales pick up, then we will revisit the option of continuing XpressSim development in the future in it's current form. At the current prices we only need to average about 200 sales per released scenery to keep the business moving forward. But, our highest seller to date has only sold 40 copies. We have not abandoned the XpressSim logic and software development. We are only temporarily halting the low-cost versions of the product. I would really love to see Harbor Grace airfield (CHG2) added, it's just across the bay from YYT and has a lot of significance in aviation history. Hi Allen - - I am still alive and want to tell you I am using FSX / Express sims to teach my seven year old great nephew to fly. As always I wish you and yours the very best. Allen I lost a hard drive - old and dumb I did not have it backed up. I need that fix for the kbro run ways that changed the number to the correct heading 360 and 180 etc. If you chose not to respond I'll understand. I remember it was a easy fix. Hi, even if I'm not Alan I corrected the Airport for you. The fix not only includes the runway numbers but as well the corresponding runway signs. Furthermore I adapted the changed apron layout in the south, deleted the tiny rumway 13L/31R, marked the closed taxiways and changed the signs, too. Finally I changes the Twy B layout in the north. If you are interested send me a PM with your email. Thanks for working to fix this sir. Our Civil Air Patrol buildings show up at the south east part of the airport and I've been looking for software to use to update the new buildings that have been added. We added a shower and restroom building, a small storage building and a large medal canopy for one Cessna 172. What software do you use for that? Also, what software would you recommend for a novice? Also at the east side of Brownsville, SpaceX is building their launch site already https://riograndeguardian.com/county-judge-spacex-to-launch-rockets-from-boca-chica-in-late-2018/ and X-Plane is already creating stuff for it at https://forums.x-plane.org/index.php?/files/file/21020-spacex-boca-chica-spaceport/ Is there someone on your team working on this? It's really a big thing for us here in Brownsville. Thank you. I tend to follow the more easy way by using first of all Jon Masterson's "Airport Design Editor". It offers a library of generic objects (you might want to install additional thumbnails in order to decide what to use) and a selection of standard buildings being included in the simulation. 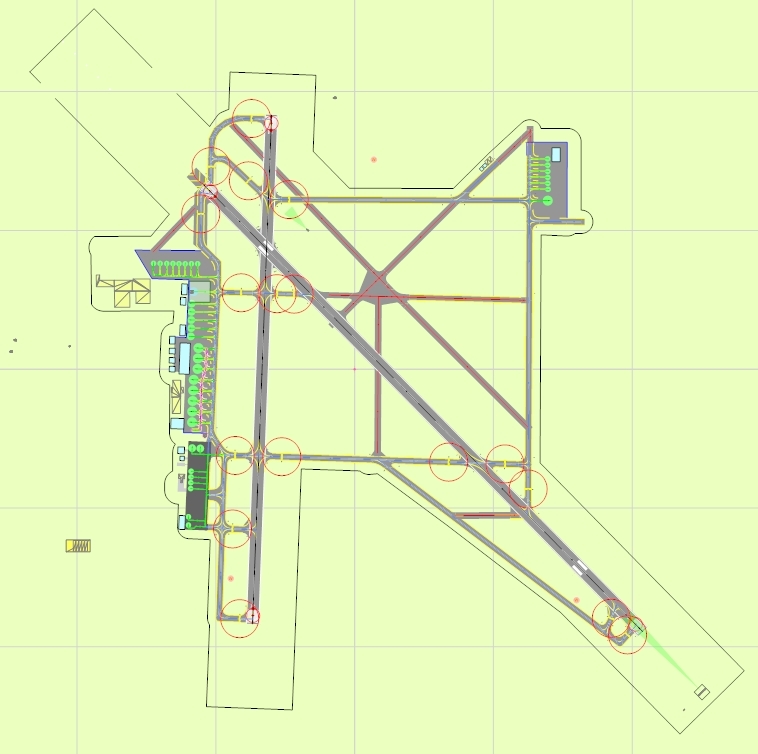 You'll find more information here: https://www.fsdeveloper.com/forum/forums/airport-design-editor.95/. I you want to use a background image in order to get the airport layout correctly, you need to learn even more. I'm using 'Scenery Builder X' for diverse tasks, including the above mentioned one, but as well in order to construct simple buildings fitting to given outlines (often it needs a combination). The application can be accessed here: https://www.fsdeveloper.com/forum/threads/sbuilderx-v315.441705/. At least you need to have the SDK of your flight sim installed. And I recommend reading the related documentation and the forum carefully (https://www.fsdeveloper.com/forum/). BTW, ADE and SBX are both freeware. If you want to design a detailed custom building you can find some tools mentioned at the same place.